A guided kayak tour is the perfect choice for a few hours of fun and excitement. These tours make great outings and still leave plenty of time for other activities. Whether you seek a stimulating activity, a chance to get outdoors or want to take your first step into the exciting world of kayaking, these half-day tours are a wonderful option. Choose from one of the many half-day, guided kayak tours with Up The Creek; we offer a wide and varied selection so that you can return many times and never see the same thing twice. With the largest fleet and most professional guide staff in the area, we can safely accommodate children, beginners and groups as large as 40-paddlers on some of our guided kayak tours. It is important to note that kayaking in the tidewater area is based strictly on tides and weather. Because of unfavorable tides or weather, some tours may not be possible on the day you wish to paddle. Therefore, the first step is picking the day you would like to go paddling and then we will check the tides for that day and let you know which tours are possible. Once you’ve picked a day and and we’ve decided on the tour location that will work on that day, all you have to do is book your adventure. Super Simple. You just need to know the When and How Many and we’ll do the rest for you. Kayak, paddle and personal flotation device (PFD). A pre-launch kayak instruction covering kayak fundamentals and paddle strokes. An experienced kayak guide leading the trip. Guides are trained to assist customers in capsizes or other emergencies, and provide a wealth of knowledge about the area and environment. 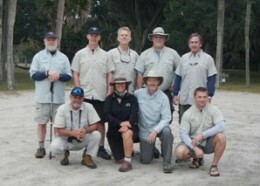 All of our Lead Guides have been through ACA (American Canoe Association) Certifications, Skills Checks and Courses. For your safety the outfitter you choose should employ trained professional paddlers. All tours meet at the kayak trip launch site or location unless otherwise noted. When & How Many? Decide when you want to go kayaking. How many people might be in your group, including children? hold you reservation. Then let the fun begin! All of our Guided Kayak Tours are between 2 and 3.5-hours on the water. Please plan on spending an additional hour for pre-trip instruction, launching and wrap-up. Full-Day Trips are like field trips. You should plan on a 8 to 10-hour day, including drive time. Full-day trips could have approximately 3.5 to 5-hours on water time — with plenty of time at the location to explore. Some of our Full-day Xpeditions include: Cumberland Island & Big Talbot Island/Bird Island. 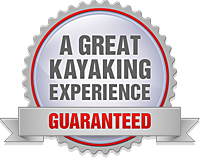 All Elite and Resort Services represent the most personalized and professional kayak outings available. These exclusive trips are essentially the, “cherry on top,” of an already wonderful resort experience. Featuring the best guides, equipment and paddling venues in the region, our Elite Services allow the area’s finest resort properties to offer their guests a service not offered anywhere else — 5-Diamond Paddling!